'Farewell' to Russian jurisdiction | Russian Legal Information Agency (RAPSI). The flight of businesses to foreign jurisdictions presents a genuine threat to the Russian economy, national security and sovereignty, according to the participants of a recent State Duma meeting bringing together parliamentary leaders and law firm representatives. According to the representatives of the corporate community, the issue has never before been debated at such a high level in the country. The extent of the government’s concern over the issue is evidenced by the decision to hold the majority of the meeting behind closed doors. One can only assume that the discussion of the country's unsightly judicial system most likely included a direct assessment of the situation and a clash of interests – one possibly deemed unfit for the public's ears. It renewed the participants’ doubts about the effectiveness of the legislative process and the state apparatus in Russia. Although a transcript of the meeting has not been made available, the meeting's opening remarks and subsequent comments painted a very clear picture of the gravity of the problem. 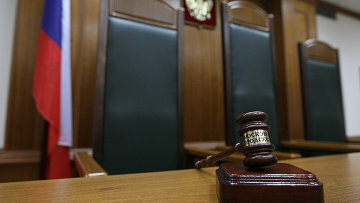 According to State Duma Civil, Criminal, Arbitration and Procedural Legislation Committee Chairman Pavel Krasheninnikov, the flight of corporations to foreign jurisdictions is the result of several issues, including corruption and a lack of relevant judicial practice, when the court may issue a decision that differs significantly from the ruling that an analogous Russian court would have issued in the case, he stressed. Meanwhile, representatives of the business community spoke about the inconvenience and the rigidity of legislation. Dmitry Afanasiev, chairman and co-founding partner of Egorov, Puginsky, Afanasiev & Partners (EPAM), announced the results of a survey held among several hundred large companies. The findings were shocking, he said. Fifty-seven percent of the surveyed companies said they do business in accordance with Russian law in no more than 10% of cases – preferring the jurisdictions of foreign states. Only every tenth Russian firm said it follows Russian law in the majority (over 50%) of its transactions. Most businessmen said the central reason for their choice is neither tax optimization, nor an attempt to hide the beneficiaries, but rather the inconvenience of Russian legislation. Legal and business communities suggest that lawmakers should address three sets of issues. First, the principle of free exercise of material and procedural rights must be more broadly extended to the parties to these civil proceedings. They will then be able to establish rules for their relationships and for dispute resolution. Such a system would strongly contrast current practice, which simply lays down rigid rules and regulations. Second, the credibility of the judicial system must be improved by reviving arbitration courts. The institution's image was severely undermined in the 1990s, Afanasiev said. Although arbitration courts continue to function formally, their services are not in demand, and commercial courts occasionally refuse to enforce their rulings. Afanasiev suggested creating a major arbitration center that will be used not only by Russian businesses, but also by other business entities in the post-Soviet space. “It is important for our businesses to use Moscow's arbitration courts, not London's,” he said. The third issue concerned the legal community as a whole – the stricter regulation of legal services. Afanasiev proposed introducing protectionist barriers to keep foreign lawyers at bay. With regard to businesses leaving Russian jurisdiction, all the participants agreed that direct bans are unlikely to resolve the issue, Naryshkin and Afanasiev concurred. No one gave a clear answer as to whether measures to improve the attractiveness of Russian jurisdiction will find its way into the Russian Civil Code, amendments to which are being considered by the State Duma. It is the subject of heated debate, as it regulates corporate relations and property rights. After meeting with State Duma deputies, the lawyers said the amendments should be subject to further scrutiny. According to Afanasiev, there are serious objections to adopting at least 30 revised provisions. Without going into detail, Krasheninnikov stated that the amendments are likely to be adopted as planned. Thus, the law is unlikely to be amended to resolve this issue in the near future. In light of recent events, newly adopted laws, and statements made by high-ranking officials, the idea of conducting patriotic education among businesses no longer appears to be so far-fetched. Drafting such a bill is far easier than resolving the problems plaguing the Russian legal system.